A piece of Faiz’s poetry looks like any other poetry. Black printed script on white parchment. The staid, two-dimensionality of parchment. The mundane blackness of the script. But as the reader’s gaze sweeps upon the verses, he is conscious of a clamor therein; a raging storm extricated within the dull entrapments of font and page, pining to be let loose, to disturb the tranquil air, to prod awake the sleeping conscience, to alter the course of the clouds, the blow of raucous winds, and flow of mighty rivers. Bol, ke sach zinda hai ab tak! Unsympathetic authoritarianism was shown the naked dagger through the spine-chilling imagery of a poem titled “Hum dekhain ge”, in which the tyrants were conveyed the horrible tidings of the “rattling ground”, “fearsome lightening in the skies”, the “tossing of their crowns” and the “seizing of their thrones”, all of which were to lead to their doom and the salvation of the oppressed. O people with injured hearts. Let us go and get killed. A committed Marxist, Faiz sought the liberation of the subjugated from tyranny. His poems have been lovingly read, cried upon and enthusiastically discussed by many Pakistanis who loves this country, the Pakistani language and Pakistani literature – simply because the verses brim with Faiz’s love for the state and its people. It is, however, crucial to bear in mind that Faiz Ahmad Faiz was just not another political poet. While his poetry came with a political message, it has been immortalized for its literary value. The imagery, metaphors and musicality of the poems – all work together to establish Faiz as a poet who set forth his own style of writing, while borrowing sparingly from Mirza Ghalib’s style, popular during the European Surrealism of the early 1920s. For an average reader, Faiz’s sensitivity to beauty and nature, and the careful rendering of those sensations into verse, is nothing short of a breathtaking wonder. A work titled “Manzar” serves as an excellent example of Faiz’s mastery with images. His use of an image of ‘the lingering blue shadow’, which transitions into ‘the blue lake’. The serenity of the lake is disturbed by a falling leaf that creates transitory ripple. The image of the flowing lake dissolves to give way to the cascading hues of wine, as it flows to stain the walls of the glass. The magic of the verses can be felt upon the skin. The images, forever marveled upon. Faiz’s greatest poetic achievement is the marriage of art and ideology in his poetry. The verses allow for both literary pleasure and social consciousness. It is a pity that the current generation, while taking pride in Western authors, hardly ever turns to marvel upon our own legends. 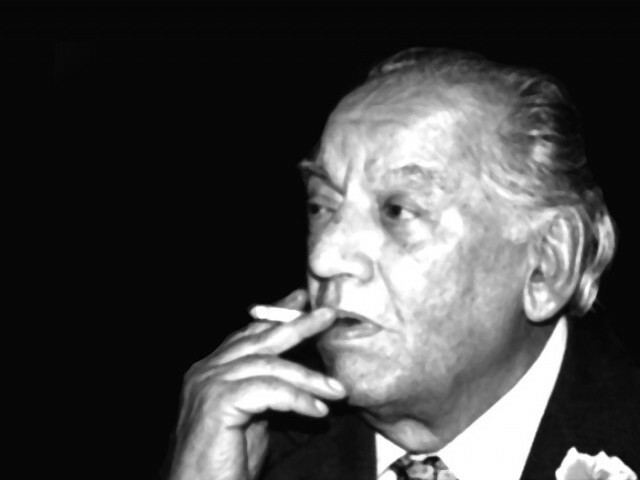 Faiz Ahmad Faiz is a poet who should be read, re-read, and read once more by all. With no offense, Faiz’s poetry is for the simpletons. The wreck that modern verse is, that is what Faiz’s poetry. So Ghalib’s poetry is surrealist? God, how ignorant you are. What is this Pakistani language? Urdu? lol. Yes, his poetry for ‘simpletons’ as Faiz says himself ‘Tanga Bano key name’, ‘Dehqano key nam’. He writes to downtrodden masses to standup against tyrants & corrupts. Masses are simpletons; and his poetry is for masses not for elites. Anyways one can not compare between Ghalib, Iqbal, Josh, Dag and Faiz. They all are the class of their own & their poetry enlightened people. Urdu if not spoken by some of the sections of people then at least they understand. However, they can also speak and always try to learn better speaking. Urdu is our National Language. People are always fluent in their native language. Urdu is spoken and understood in whole Pakistan, India and even some of the gulf countries. Even Arabs in those areas understand Urdu and some are adequately fluent in speaking. None of the language other than Urdu has this attribute in sub continent. Pushto, Sindhi, Pujabi and other language are also beautiful but not spoken or understood widely like Urdu.